Offering you a complete choice of products which include tube inserts for condensers ,air fin coolers. 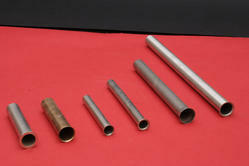 We are offering wide range of Tube Inserts for Mining Industry. The inserts offered by us are procured from the reliable vendors of the market, who manufacture the entire range using high-grade raw material and advanced technology. Looking for Tube Inserts for Heat Exchangers ?